Commissioned by Museum Prinsenhof Delft, David Derksen has developed a collection of porcelain objects in Jingdezhen, China, the origin of porcelain production. 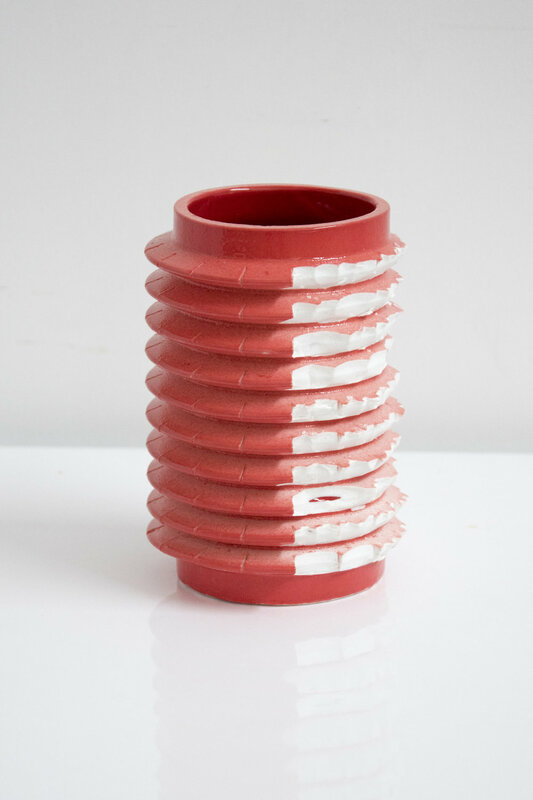 During artist in residence periods in 2016 and 2017 he has taken inspiration from historical imperial porcelain as well as the modern Chinese city. Two themes have been the starting points for the collection; deformation and stacking & wrapping. Normally, deformed pieces are discarded but in this case it was done on purpose, in a more or less controlled way. Based on rejects, that have been excavated in Jingdezhen, a new series of objects has been made. By making cuts in the bisque fired porcelain the shapes completely deform during the firing process. The results give insight in the transformation process of the clay, where the porcelain becomes very plastic at a temperature of 1300℃ and finally very hard after cooling. The second theme is the stacking of existing shapes and connecting them with several materials and methods. Inspired by the way porcelain objects are wrapped in historic and modern Jingdezhen, the parts of the stacks have been connected with ribbons, bamboo or clay. These objects are interpretations of historic Chinese pieces such as ritual candle holders. Old and new shapes have been combined, using traditional and modern materials. The old and the new China meet. There is a book available that gives an overview of the inspiration, the process and the final works of the New China project. It is available via the webstore.